Surgical words from our teacher Dan Block, via our brother Jason Hood, identifying parallels between the Canaanization of Israel in Judges and the paganization of the church today. I am rebuked and strengthened. Packer summing up what got the Puritans out of bed in the morning. Magnificent. For the Puritans, the landscape of piety--that is, the spiritual topography of the ongoing life-situations in which each saint serves God--was determined by four realities, on all of which, as their books show, they laid out a great deal of expository effort. These were the sovereignty and sanctity of God, under whose eye we live, in whose hands we are, and whose purpose to have us holy, as he is holy, explains his way with our lives; the dignity and depravity of human beings, made for God but ruined by sin and now needing total renewal by grace; the love and Lordship of Christ, the Mediator, the Christian's Saviour-King; and the light and power of the Holy Spirit, who convicts, quickens, regenerates, witnesses, leads, and sanctifies. J. I. Packer never wastes a word. Enjoying the most recent sermon from Covenant Life in Gaithersburg. We are all the same. We have plucked fruit from that forbidden tree. We have proudly declared that we know best, that we can take care of ourselves. We have crowned ourselves deities. 'Have you eaten from the tree?' Oh, yes and yes, over and over again in ways both glaring and hidden.
. . . Have you eaten from that tree today? Have you satiated your soul with the luscious fruit that grows from this blood-soaked ground? Have you nourished your heart with his strength, his righteousness, his perfection, and the gospel? Have you shunned self-righteousness, self-reliance, self-improvement? Which tree are you most aware of? Eat from the blessed tree, friend. Eat and eat and never stop. When you are hungry for something else, something more, something new, run to that tree. Stay there; rest in his shade. The door is open; the meal is ready. Sit down and eat. I would remind you again that the Bible claims that it and it alone can really show us this quiet heart. I do not apologize for that. I state and assert it. We cannot mix this the gospel of Jesus Christ with anything else; it is either this or nothing. . . .
Let us, then, consider together the Bible's method of giving us a quiet heart. This, the Bible tells us, is an actual and practical possibility for us in this world of time. . . .
That is what I have to offer. It is my privilege to tell you that it is possible for you, whatever your position, whatever your circumstance and condition and problem, to be delivered from trouble and distress and pain of mind and of heart to know the peace of God 'which passeth all understanding' (Phil 4:7). I want to put this before you as an actuality and as a possibility here and now. It's that last paragraph especially that strikes me. This is preaching, is it not? Now viewable online. I'm especially excited about the Student Study Bible (scroll down here for a sample of Mark) and the Grow! Bible for 8-12 year olds, both coming out later this year. Other Crossway catalogs viewable here. Wonderful reflections on what we can learn from Churchill from my brother (in both sense of the word) Gavin, who recently read Paul's Johnson's biography of the former British Prime Minister. We must use the assurance of faith in applying the blood of Christ; we must labour to purge and cleanse our consciences with it. If we find that we have sinned, we must run at once to the blood of Christ to wash away our sin. We must not let the wound fester or exulcerate, but immediately get it healed. . . . As we sin daily, so he justifies daily, and we must daily go to him for it. . . . We must every day eye the brazen serpent. Justification is an ever-running fountain, and therefore we cannot look to have all the water at once. . . .
O let us sue out every day a daily pardon. . . . Let us not sleep one night without a new pardon. Better to sleep in a house full of adders and venomous beasts than sleep in one sin. Of all God's benefits given in the covenant of grace, first place belongs to justification, to forgiveness of sins. All joy and peace, all certainty of communion with God, rests on this forgiveness, a benefit no mind can fully comprehend or believe. God has assuredly promised his grace to the humble, that is, to those who lament and despair of themselves. But no man can be thoroughly humbled until he knows that his salvation is utterly beyond his own powers, devices, endeavors, will, and works, and depends entirely on the choice, will, and work of another, namely, of God alone. For as long as he is persuaded that he himself can do even the least thing toward his salvation, he retains some self-confidence and does not altogether despair of himself, and therefore he is not humbled before God, but presumes that there is--or at least hopes or desires that there may be--some place, time, and work for him, by which he may at length attain to salvation. But when a man has no doubt that everything depends on the will of God, then he completely despairs of himself and chooses nothing for himself, but waits for God to work; then he has come close to grace. The doctrine of divine sovereignty and the gospel are not unrelated. A Westmont College chapel from last month. Ben Patterson leads; Jerry Root speaks. 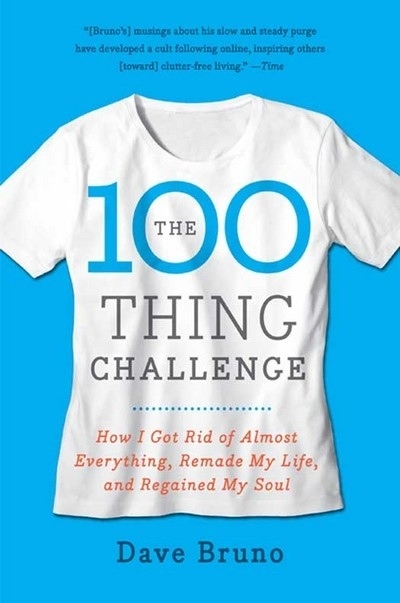 Interesting interview with Dave Bruno, describing how liberating it was to whittle his personal possessions down to 100 things for a year. In light of the fact that he included all his books under 'one library,' I truly think I could do this. Maybe I will. The attention this has received is more revealing of American culture than of Dave. Could it be that Dave is normal, and the rest of us abnormal, rather than the other way round? If for insignificant, guilty, and impure persons there is to be a possibility of true religion, that is, of genuine fellowship with God, of salvation and eternal life, then God on his part must reestablish the broken bond, again take them into fellowship with him and share his grace with them, regardless of their guilt and corruption. He, then, must descend from the height of his majesty, seek us out and come to us, take away our guilt and again open the way to his fatherly heart. If God were to wait until we—by our faith, our virtues, and good works of congruity or condignity—had made ourselves worthy, in part or in whole, to receive his favor, the restoration of communion between him and ourselves would never happen, and salvation would forever be out of reach for us. The trouble I find with psychology is that it is simply an attempt to give you quiet nerves instead of giving you a quiet heart. I want to be fair to psychology. It can give us, up to a point, quiet nerves, but that is not what we need--we need a quiet heart. Thank God for something that, as far as it goes, can give us quiet nerves, but do you want to be at rest on the surface or do you want to be at rest in the very depths and vitals of your being? It is at this point that the gospel claims that it, and it alone, can meet and satisfy our deepest need, and here in John 14 we are told exactly how it does that. In 1993 Greg Beale gave his inaugural lecture at Gordon-Conwell Theological Seminary. He argued that Jesus Christ's, life, death, and resurrection by the Spirit launched the new creation kingship for God's glory that was longed for ever since the fracturing of the first creation. 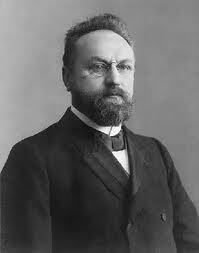 We are therefore now in the latter days, the end-times: every point of NT theology is thus inherently eschatological. 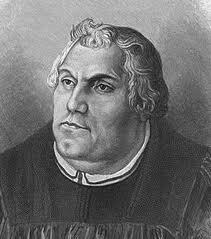 A few years later he was invited to give the Tyndale Fellowship paper in Cambridge. He reworked the material and presented it again. That lecture was later published as the essay 'The Eschatological Conception of New Testament Theology' in this book. It is the most significant chapter-length piece on the Bible I have yet read. That essay became the macro-structure of his New Testament theology courses at Wheaton College Grad School this past decade. Finally, it is all coming together in this 1,000-page work. 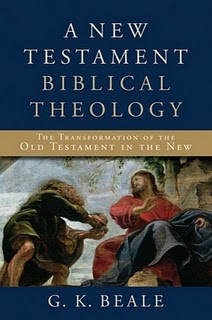 When Greg gave me his one-sentence summary of the Bible he told me it was in fact a one-sentence summary of this book. Most 1,000-page books, if they're worth buying at all, belong on your shelf as a reference work for occasional consultation. This is one of the few that, in my opinion, would benefit readers all out of proportion to the labor required to work carefully through it, page by page. You will not agree with every jot and tittle. 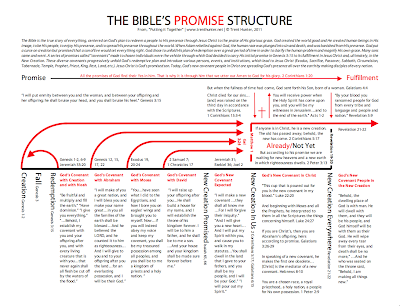 But you will see how the Bible holds together in far deeper and more wonderful ways than ever before. Join me in giving careful consideration to how many books you will leave un-read when you die, and which ones belong on that painfully short list of books you will be able to give thoughtful attention to before glory. Pastor or layperson, old or young, reformed or not, this book demands your attention. Here's an (unrelated) little glimpse into why I love Greg Beale, from the end of a brief interview discussing his course on Acts and Paul at Westminster. I am realizing that some of the times when others are probably most tempted to ask 'Why so somber, Dane?' are my most joy-filled moments, and other times when I am laughing most are my most miserable. There is a frothiness that laughs and jokes and jeers which is utterly devoid of real joy. And there is a quiet sobriety that fights back tears, the joy is so intense. One is external joy hiding internal misery. The other is external seriousness hiding internal delight. Do a search for 'laughter' in the Bible. It is more often discouraged than encouraged. I find that medicating the emptiness within with SNL and Youtube is like scratching poison ivy--temporary relief, but afterward I am worse off. Don't you find that? Have you ever met someone who wasn't comfortable with more than thirty seconds without some snide comment or trivializing joke? Someone for whom seriousness is just too awkward? I have just one question: Will you go to such a one when the heart is breaking? Jay Leno knows nothing of joy. After the local Northampton revival of 1734-35 came the Great Awakening in 1740-42. Edwards makes a fascinating observation about a difference between the two revivals. There has been a remarkable difference in this respect, that whereas many before, in their comforts and rejoicings, did too much forget their distance from God, and were ready in their conversation together of the things of God and of their own experiences, to talk with too much of an air of lightness, and something of laughter; now they seem to have no disposition to it, but rejoice with a more solemn, reverential, humble joy. . . . The local revival produced valid joy, but the Great Awakening brought joy that was both more intense and more solemn. To be sure, if anyone should know what uproarious laughter is, it is Christians. We are involved in the greatest comedy (in the classic sense of that word) the world has ever known. We know it will all turn out well in the end. The world wins now to lose then; we lose now to win then. We know God is going to one day hit rewind on these decaying bodies and restore the world to normal, Eden 2.0, with Jesus at the center, and huge smallmouth bass in every river. We have more reason for joy than anyone. But don't substitute frothy frivolity for the real thing. Beware the sit-coms, which increase laughter and decrease joy. Turn off the TV tonight and chew on Ps 34 or 63 or 85, or the Beatitudes or the Upper Room Discourse, or Colossians, or Augustine's Confessions or Luther's letters or Whitefield's sermons, or Donne or Tolkien or Packer or Piper or Powlison. Or whoever breathes life into you. You will laugh less. And be much happier. Three sentences from J. I. Packer describing the Puritan constituency. The last one is especially strengthening. 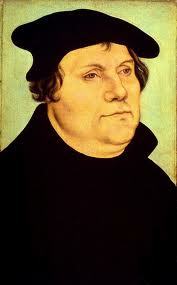 [I]n seeking to honour and please God by the methodical holiness of mortifying sin, vivifying habits of grace, keeping the Sabbath, governing one's family, mastering the Bible, working hard in one's calling, practising purity, justice, and philanthropy in all relationships, and keeping up communion with God by regular, constant prayer, the Puritans were all at one, and all the more so because these were the things that their preachers most stressed. The sense of being called by God to practise and establish holiness wherever they went, and to crusade together for the moral and spiritual transformation of England, was strong in their hearts, and they valued the endless instruction on personal religion that the preachers gave as restoring their vision of God, renewing their grasp of his grace, and recharging their batteries for the tasks that lay ahead of them. 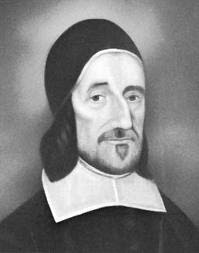 They liked the loud, dramatic, uninhibited, down-to-earth, heart-to-heart, 'plain' expository preaching, ripping up consciences and lifting up Christ, that was a hallmark of the Puritan pulpit throughout; this seemed to them the only proper way for a man to speak when the issues of eternity were his subject. 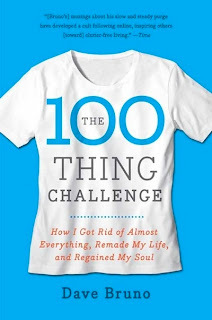 I think this book is changing me. Yes, I am most thankful for sovereign grace itself, but here I'm talking about Sovereign Grace Ministries. Theologically I don't fully align with our brothers and sisters in SGM in some non-essential points, but, well--they're non-essential. What a gift to the church these brothers and sisters are. 1. Love of the gospel. Contagious, transparent, happy love of the gospel of grace as the wellspring of all Christian living (not only Christian conversion). 2. Doctrines of grace, culture of grace. The doctrines of grace--reformed soteriology--tend to have two very different effects on people, with little middle ground. One is humbling, humbling that accords with the doctrine subscribed to. The other effect is hardening, hardening that goes against the doctrine subscribed to. One generates a culture of grace, the other a culture of scrutiny. The ethos of one is open arms, the ethos of the other is peering eyes. Sovereign Grace embodies the former as well as any Christians I know. 3. Desire to learn from others. I have never observed another group of Christians so quick to receive criticism wisely and non-defensively. And it doesn't result from doctrinal flabbiness--their theological convictions are clear and firmly held. But they understand that it is the way of the fool to shirk critique and the way of wisdom to receive it. This is an area I would like to grow in. 4. Church-based pastoral training. I'm a seminary grad myself and wouldn't trade my five years at Covenant Seminary (yes, it took me that long to get through) for anything. But the strategy and vision behind the Pastor's College could not be more noble and, it appears, effective. I have no doubt (none) that 10 months as a student in the pastor's college would do me a world of good, and provide a layer of training that no grad school experience can provide. 5. Impatience with worldliness-in-the-name-of-'cultural-engagement.' There's a difference between in the world and of the world. The left is both, the right is neither. But SG pastors, churches, and leaders winsomely model how to be in but not of. 6. Love of sports. It is not surprising that little books like this one or this one come from the Sovereign Grace circle. Though I will never be a Redskins fan, I am glad to be instructed by my SG friends in how to enjoy athletics to the glory of God. O sirs, how plainly, how closely, how earnestly, should we deliver a message of such moment as ours. . . . In the name of God, brethren, labour to awaken your own hearts, before you go to the pulpit, that you may be fit to awaken the hearts of sinners. Remember they must be awakened or damned, and . . . a sleepy preacher will hardly awaken drowsy sinners. Though you give the holy things of God the highest praise in words, yet, if you do it coldly, you will seem by your manner to unsay what you said in the matter. . . . Though I move you not to constant loudness in your delivery (for that will make your fervency contemptible), yet see that you have a constant seriousness; and when the matter requireth it (as it should do, in the application at least), then lift up your voice, and spare not your spirits. Speak to your people as to men that must be awakened, either here or in hell. Look around upon them with the eye of faith, and with compassion, and think in what a state of joy or torment they must all be for ever; and then, methinks, it will make you earnest, and melt your heart to a sense of their condition. Oh, speak not one cold or careless word about so great a business as heaven or hell. The greatest preacher of the twentieth century on the greatest of the eighteenth. The Christian, according to Owen, maintains a sense of his continuing sinfulness; he gathers together his thoughts about individual sins, and, deliberately remembering that Christ died for these, and hearing the summons to come to him, makes an exchange, laying down his sins at the cross of Christ, and taking from him the righteousness, in all its dimensions, that he procured. Here we meet again the recurring theme in Owen's teaching, that the pattern of inauguration into Christian experience is the foundation on which the whole of it is to be built. If becoming a Christian involves faith and repentance, then the whole of the Christian life will also bear that character. Sanctification is the flower from the seed of regeneration. The same is true, I think, for me. Why Go Through the Drudgery of Memorizing Greek Paradigms? Biblical exegesis should be the intellectual enzyme that transforms the stupor of our worldly and futile affections into a deep and glad and living hope. . . . [It is] the cognitive catalyst that triggers a combustion of divine joy in the human heart. --John Piper, Biblical Exegesis: Discovering the Meaning of Scriptural Texts, 4-5. For even I, by the grace of God, am not such a fool or so mad as to have been willing to maintain and defend this cause for so long, with so much zeal and constancy (which you call obstinacy) amid so many dangers to life, so much hatred, so many treacheries, in short, amid the fury of men and demons, simply for the sake of money (which I neither possess nor desire), or popularity (which I could not obtain if I wished, in a world so incensed against me), or physical safety (of which I cannot for a moment be certain) . . . . When nothing else can be done, we prefer to be battered by temporal tumult, rejoicing in the grace of God, for the sake of the Word of God, which must be asserted with an invincible and incorruptible mind, rather than to be shattered by eternal tumult under the wrath of God, with intolerable torment. Two radiant men, one describing the other. When younger pastors ask me about the ministry, I don’t think of formulas, systems or strategies. I think of my dad. Radiant men, not angry men, not men determined to set others straight — radiant men draw people to Jesus with a power they themselves may be unaware of, because it isn’t a calculation. Save your money, skip the next pastor's conference, print this out, and ponder it for the three days you would have been away. It's all we need to know. In the Lord's strange way of linking up scattered providences, this morning I pressed home this very verse from Psalm 34 to my friends here at Crossway in chapel. I asked them, and I ask you: if Psalm 34:5a were true of you--if you looked to God and were radiant--would you be lacking anything in your Christian life? I understand there are places in the Bible where we are given lists--Galatians 5, 2 Peter 1. But does anything fall outside of God-fixated radiance? Would that leave any virtue behind? Store the heart with a sense of the love of God in Christ, with the eternal design of his grace, with a taste of the blood of Christ, and his love in the shedding of it; get a relish of the privileges we have thereby--our adoption, justification, acceptation with God; fill the heart with thoughts of the beauty of holiness . . . and thou wilt, in an ordinary course of walking with God, have great peace and security as to the disturbance of temptations. I suppose that in many ways it can truthfully be said that the greatest need of men and women in this world is the need of what is called a quiet heart, a heart at leisure with itself. Is that not, in the last analysis, the thing for which we are all looking? You can if you like call it peace; that means exactly the same thing, peace of mind and peace of heart, tranquility. We are all restless; we are all disturbed. There is unhappiness in us. . . .
[I]t is not only the Christian gospel that offers us freedom from the troubled heart. 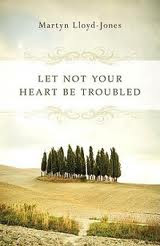 There are many ways in which we are exhorted to try to find this peace. . . . The claim of the gospel is not only that it can give us a quiet heart, but also that nothing else can do it. This looks like another winner for kids (and me) from R.C. Sproul, just redone by Reformation Trust (originally published in 1997 with Thomas Nelson). 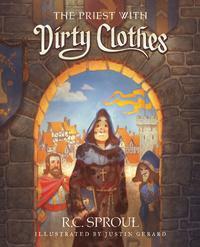 In this new edition of his classic story, The Priest with Dirty Clothes, Dr. R.C. Sproul continues his project of illustrating theological concepts for children. In this book, he teaches the concept of imputation, which lies at the heart of the important biblical doctrine of justification. Using the story of Joshua the high priest (Zechariah 3:1–5) as his jumping-off point, Dr. Sproul weaves a classic tale about a young priest who is invited to preach his first sermon before the king and his court. But on his way to the palace, he falls from his horse, getting his clothes hopelessly muddy. Jonathan finds that he needs powerful help if he is to stand before the king. This edition of The Priest with Dirty Clothes includes all-new illustrations by Justin Gerard and a new “For the Parents” section to help them bring out the truths of the book for their children. The Devil has ever shown a mortal spite and hatred towards that holy book, the Bible: he has done all that has been in his power to extinguish that light, and to draw men off from it: he knows that 'tis that light by which his kingdom of darkness is to be overthrown. . . . Every text is a dart to torment the old serpent: he has felt the stinging smart thousands of times; therefore he is enraged against the Bible, and hates every word in it. John's vision of the new earth is refreshingly attractive. We live in a world constantly struggling to overcome sickness, disease and death. We look to medical doctors to prolong our lives and ensure that we have a meaningful quality of life. We pour vast sums of money into the prevention and treatment of diseases, with limited success. In spite of this, few of us expect to live longer than eighty or ninety years, and, if we should, we probably anticipate that our capacity to enjoy life wil be severely restricted. Few ninety-year-olds skip around like newborn lambs. How different life will be in the New Jerusalem! In the preface to a series of Lloyd-Jones sermons on John 14, his two daughters recount the final days of their father's life. 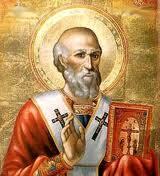 Toward the end of his life, when he was very weak, he experienced for himself these things that he had preached earlier. To minimize God's wrath is to minimize God's love. One grows, and wanes, with the other. Religion cannot be made joyful simply by looking on the bright side of God. For a one-sided God is not a real God, and it is the real God alone who can satisfy the longing of our soul. Amazing how relevant the 100-year-old founder of the OPC continues to be. If there be really a hell of such dreadful, and neverending torments, as is generally supposed, that multitudes are in great danger of, and that the bigger part of men in Christian countries do actually from generation to generation fall into, for want of a sense of the terribleness of it, and their danger of it, and so for want of taking due care to avoid it; then why is it not proper for those that have the care of souls, to take great pains to make men sensible of it? Why should they not be told as much of the truth as can be? If I am in danger of going to hell, I should be glad to know as much as possibly I can of the dreadfulness of it: if I am very prone to neglect due care to avoid it, he does me the best kindness, that does most to represent to me the truth of the case, that sets forth my misery and danger in the liveliest manner. Thanks, Justin Taylor, for being forthright. Our brother Jared Wilson makes a pungent point regarding Rob Bell's questioning of whether Ghandi would go to hell. Worth digesting no matter how ready we all are to move on. [This] begs the question, 'why Ghandi?' If you're not trying to implicitly assert a works salvation, why not ask if a loving God would let Hitler into heaven? How could you not want this to happen again? There was nothing weird about the events of which Lloyd-Jones preached and for which he longed, and which Edwards saw with his own eyes. It is not something to be averse to. It was not goofy. It was real. God-sent (not humanly manufactured) revival is, I believe, the only thing that will prompt something from the world other than their usual yawn. Let the world say what they will, let them ridicule, one thing I cannot bear is being viewed as boring by my unbelieving friends. I hate that. So I rejoiced to finally get my hands on this book this week. Many important books have been published in recent months, several of which deserve their own posts. But if the Lord granted that I could pick one book for every Christian to read in 2011 it would be Hansen and Woodbridge on revival. Friends, we must be aware of what God can do, and has done, with screwy nobodies like you and me. The other night I read in Edwards' Faithful Narrative that one of the greatest means of spreading the 1734-35 revival was the testimony of fellow believers whom God had revived. People simply needed to hear what God had been doing. They needed the testimony of others to create a category of what God can do in a human life, a category they simply did not have. That category-creation is what Hansen and Woodbridge have done for us. You cannot read this book without longing for God to pour out his Spirit in 2011. We who live in an era of small things must remember eras when the big things seen and heard in the Bible returned once more. 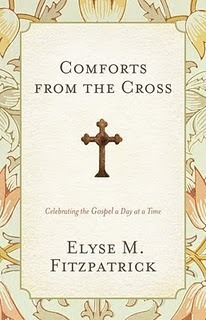 This book is not for those who have grown comfortable with the Christian life. Others, however, will feel the Spirit nudging them toward something more. They will begin to see ways they have been satiated by small things and lost the taste for big things. They may realize that if Jesus is truly Lord, then everything changes. The timeworn routines that promise peace no longer satisfy. They will embrace a God-sized vision for his work in this world. We cannot pretend that we see things perfectly from God's perspective. But we can plead with him to give us a glimpse of the world from the loftier vantage point. Few of us are tempted today to dream too big. Rather, our vision shrinks to the size of our limited experience. Yet all things are possible for those who believe in the God who created the heavens and the earth. In our disbelief, we can ask God for inspiration to believe. Then he may give us a vision of divine size. I find this wise piece over at the Coalition from Louis Markos very instructive. Thanks Louis. He descended that he might raise us up; he went down to corruption, that corruption might put on immortality; he became weak for us, that we might rise with power; he descended to death, that he might bestow on us immortality, and give life to the dead. Finally, he became man, that we who die as men might live again, and that death should no more reign over us. 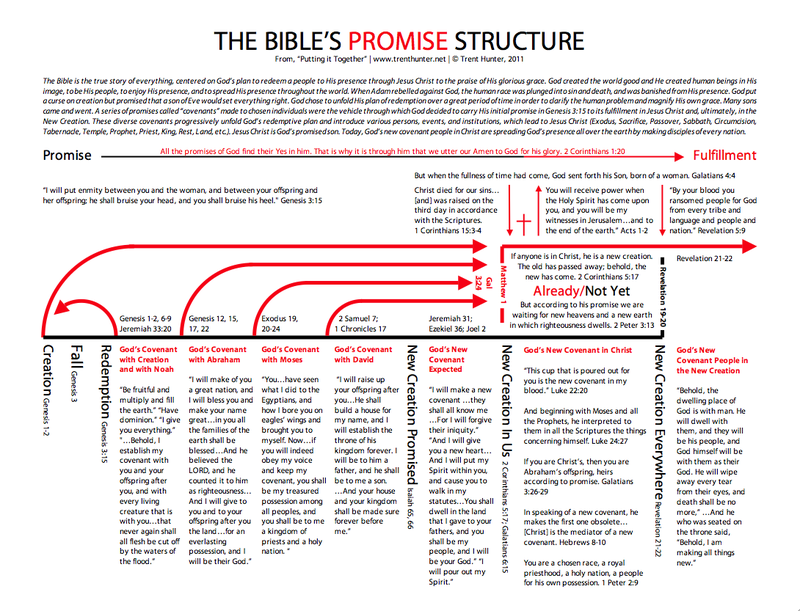 A nice one-page chart from our brother Trent Hunter, outlining the way the Bible is structured around the promises of God, climaxing in Christ. Click to enlarge. Have a horror of sinking into a tattling, twaddling, trivial sort of man, talking much and achieving nothing. Steer clear of a young man's rock, self-importance. Walk humbly with God. Acts of self-condemnation are, next to acts of faith in Christ, the most profitable of devotional exercises. I have grown best and done best when most frequent in them. The life of Richard Davis, minister in Rothwell, Northamptonshire, provides a rare insight into the autobiographical nature of Owen's exposition. 'Through the Mediator, sir,' answered Davis. By the way: this new awareness of happy nearness to God was not an isolated existential event after which Owen turned once more to dry theologizing. 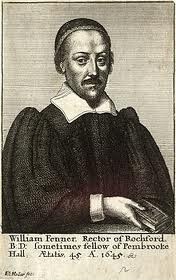 Volume six of Owen's Works devotes a dense 200 pages to a single verse to expound assurance of salvation--Psalm 130:4. 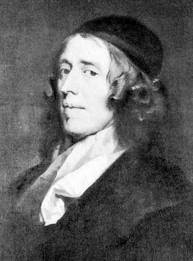 When John Owen writes on indwelling sin, temptation, mortification, the Holy Spirit, assurance of salvation--all he is doing is using the Bible to make sense of personal experience (see also pp. 123-24). I find that very comforting. And a model for the rest of us. Here, then, is something fundamentally necessary and salutary for a Christian, to know that God foreknows nothing contingently, but that he foresees and purposes and does all things by his immutable, eternal, and infallible will. Here is a thunderbolt by which free choice is completely prostrated and shattered, so that those who want free choice asserted must either deny or explain away this thunderbolt, or get rid of it by some other means. A good word from our brother Michael DiMarco.